The Bay Club at Mattapoisett continually strives to offer members ways to improve their body and health. This month members participated in a Living Healthy workshop aimed at activating one’s natural healing potential and recovering health by overcoming physical and mental barriers.Â The 4 hour workshop was taught by certified yoga instructors Mike and Beth Houlihan who are owners of Roots to Wings Yoga and Healing Center in Newburyport, MA one of the pre-eminent yoga and healing facilities north of Boston. The workshop included a variety of gentle exercises, stretches and meditations to increase strength, flexibility and focus. It encompassed traditional Hatha yoga postures for strength, stamina and flexibility, Ki Gong movements to improve circulation and activate your bodyâ€™s natural healing ability and short meditations to enhance focus, clarity and concentration. The Bay Club at Mattapoisett is a country club with an eighteen hole championship level golf course and residential property located in Southeastern MA.Â Â To arrange a private tour please contact Dave Andrews viaÂ e-mailor phone, 508-758-9543. 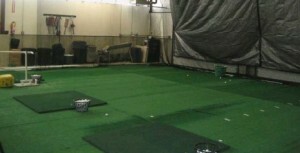 The Bay Club at Mattapoisett recently re-opened its Winter Indoor Practice Center. This facility allows members to practice with a P3Pro Swing Desktop Simulator, three independent hitting stations, a 40 x 20 putting carpet and multiple swing training aids. Head Golf Professional Greg Yeomans takes advantage of the indoor practice facility to provide complimentary clinics for Bay Club members. Greg works with members offering instruction which includes swing tips, winter practice strategies and skill contests. The facility is open to members 7 days a week until the golf course opens in April. The Bay Club at Mattapoisett is a country club with an eighteen hole championship level golf course and residential property located in Southeastern MA. To arrange a private tour please contact Dave Andrews via e-mailor phone, 508-758-9543.